Abstract: A combination of a Wilms’ tumor (WT) and renal cell carcinoma (RCC) is an extremely rare pediatric renal neoplasm. Its prognosis and clinicopathological features remain unclarified. Herein, we describe a case of the coexistence of a WT and an RCC in a male child aged 5 years and 10 months. The child had symptoms of hematuria for more than 1 month. Although his irises were clear, medical imaging revealed a potential malignant tumor in the left kidney. The patient underwent resection of the left kidney. 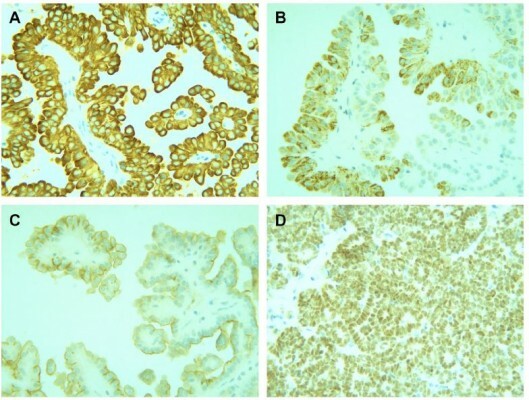 The pathological diagnosis was the coexistence of a WT and papillary RCC. Negative surgical margins were examined. One month following the resection, chemotherapy with vincristine plus dactinomycin (EE-4A regimen) was commenced. At the 69-month follow-up, there was no recurrence or metastasis. The coexistence of a WT and an RCC in the pediatric population is considered a rare pathological event. At present, there is no standard treatment for these renal neoplasms. In this study, the RCC treatment, which was the same as that applied in cases of WTs, was reasonable.